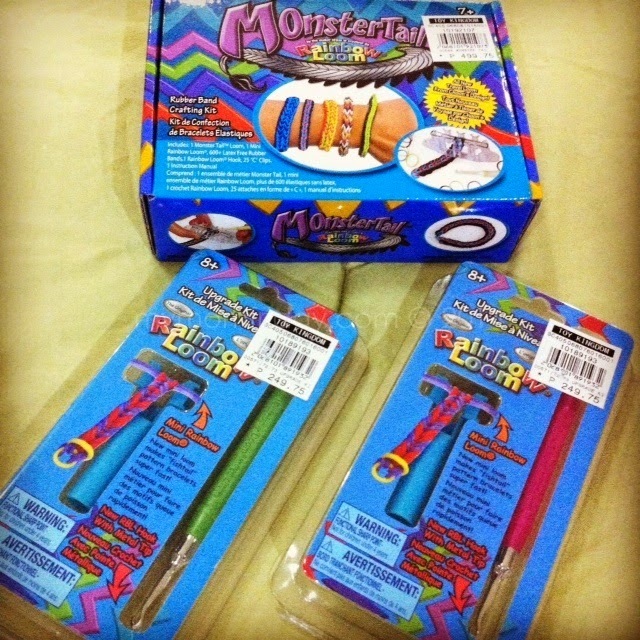 My Mom-Friday: High on Rainbow Loom Bracelets, Monster Tail, Etc. 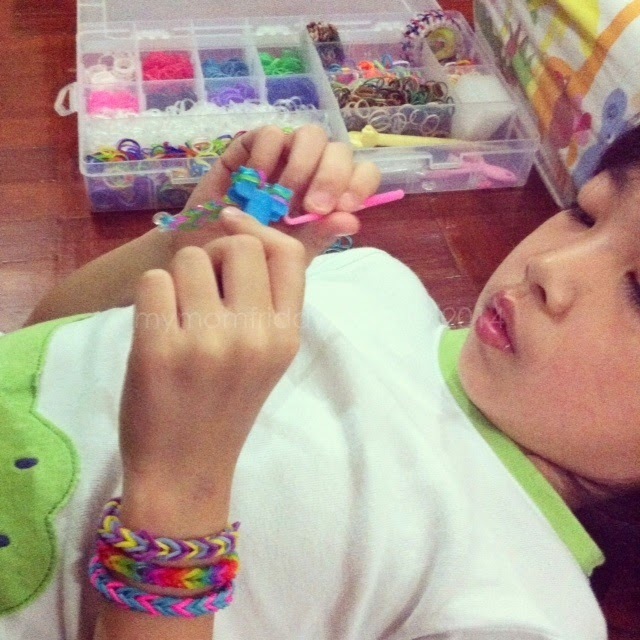 High on Rainbow Loom Bracelets, Monster Tail, Etc. 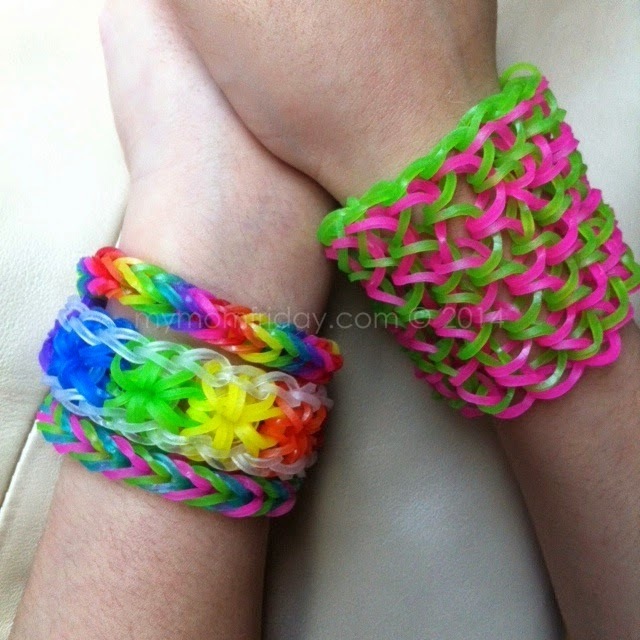 My girl and I are still riding the Rainbow Loom wave and are both discovering new designs together. So far, our favorites are Flexafish, Saturn Link Chain, Triple Link, and classic Fishtail. We get help from my niece who's really good at this and have memorized several designs already. She's been able to teach me and my girl since we started our looming hobby. 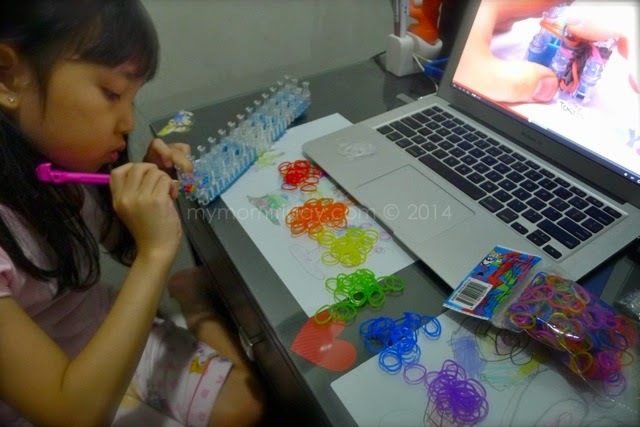 As I recall, it was around November last year when we first saw a Rainbow Loom kit from my niece and her mom (my sis-in-law). Eventually, my girl got influenced and wished for her own kit. So, they gave her one for her birthday last January. 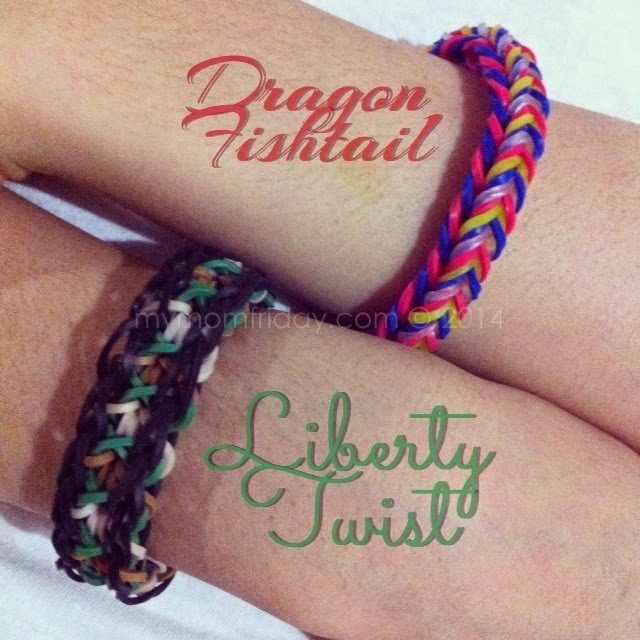 We didn't really pick up the hobby immediately - the girl and I just tried making two Fishtail bracelets and stopped there. It took about two months before we seriously searched for designs on YouTube and after we saw pretty new creations by my niece week after week! 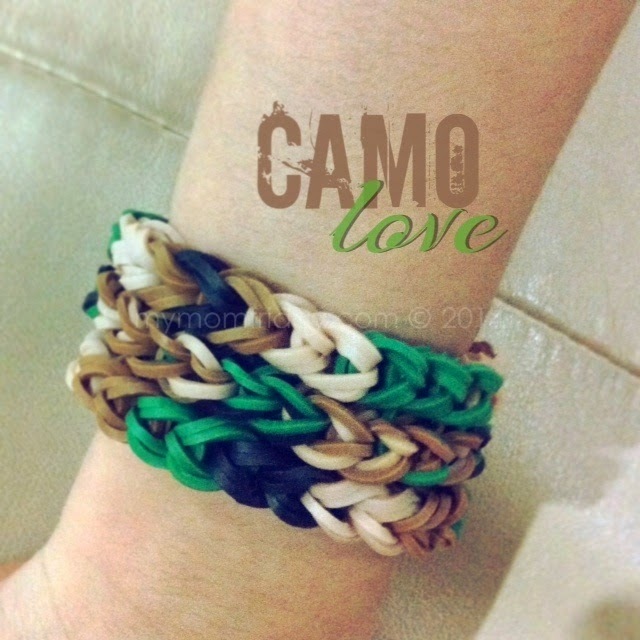 Then, I spotted a pack of this cool Rainbow Loom camouflage bands which got me started. 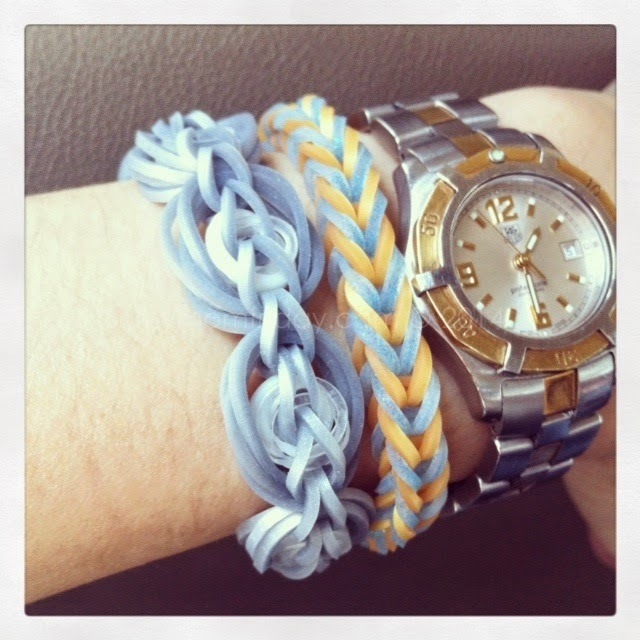 I've been posting some of our bracelets on Instagram ever since (click on square photos to view). Here's my first set of basic chain link. 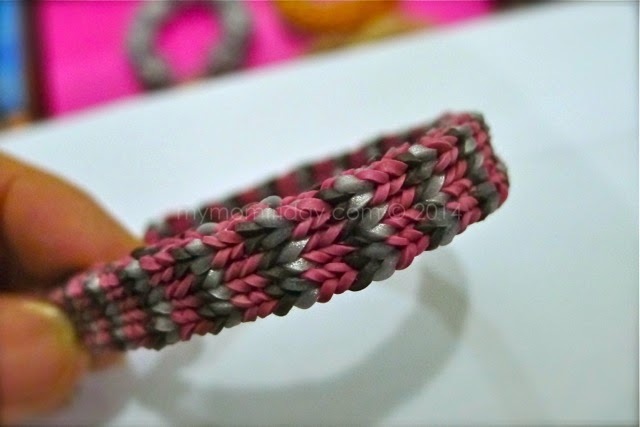 After a few simple loom bracelets, I got challenged to create this cuff that my niece taught me. Since then, I was hooked! I think this is a Sailors Pinstripe design by Justin's Toys videos. As we progressed, the girl wanted me to browse through more designs, and below, you'll see what we (I) have been making over the past few months. We don't have a complete set of colored bands. 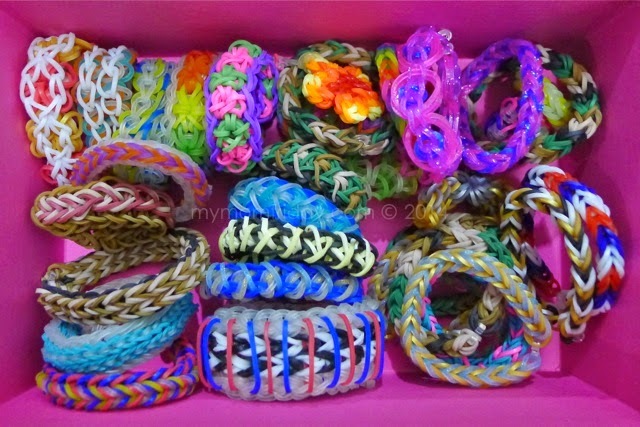 I just buy the colors we like, but I don't buy "fake" loom bands. I tried a few from party giveaways but discovered the bands don't stretch well - you can really compare. 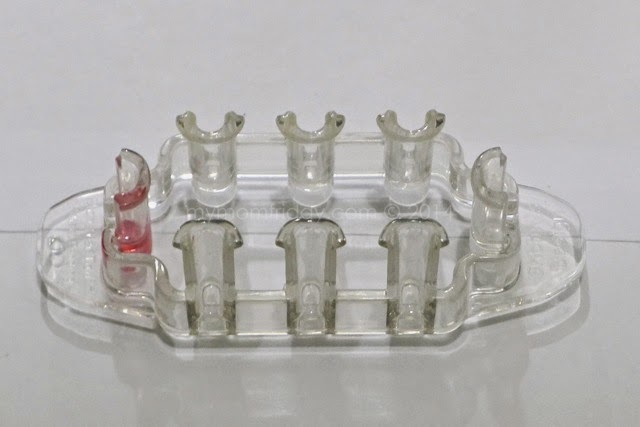 The bands are also not even, and breaks easily. We're currently fond of using glitter and metallic bands... 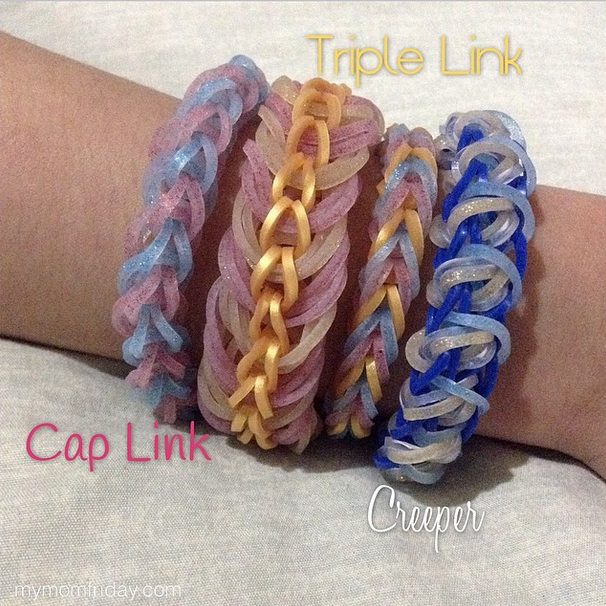 I even got some inquiries about the shiny bands and designs after posting our creations on Instragram! 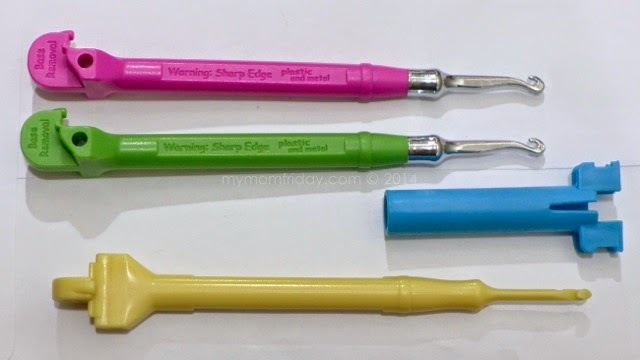 Next time, we'll get new metallic colors. 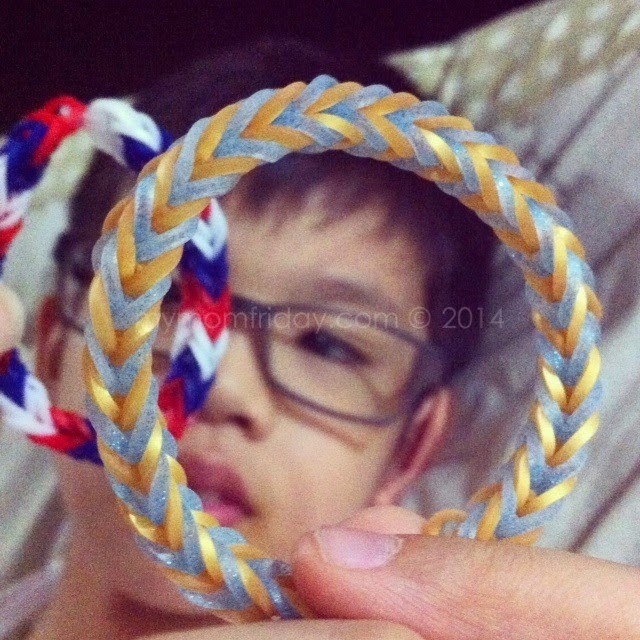 The boy's first attempt at Rainbow Loom, and this is what he made - an advanced Mother's Day gift daw for me. Sweet! She likes to be colorful and pile them on. So, the girl left the plastic hook on the bed and I accidentally sat on it. Putol ang hook! It was time for an upgrade - bought two metal hooks and the new Monster Tail, which was just released a couple weeks ago. 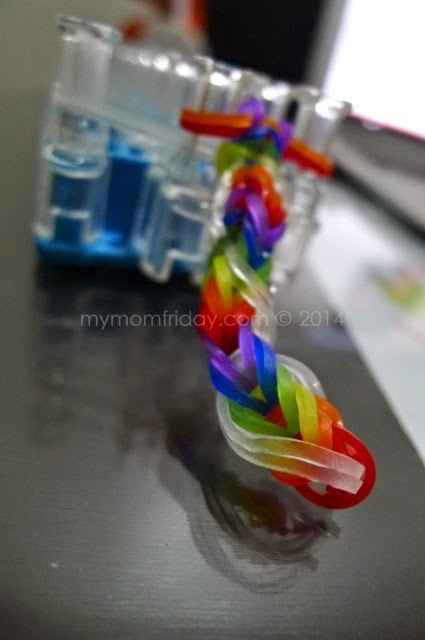 The Monster Tail Rainbow Loom kit includes bigger C clips, a set of hook and mini loom, and allows for more elaborate patterns to move down the middle with ease. This was our first big flower. 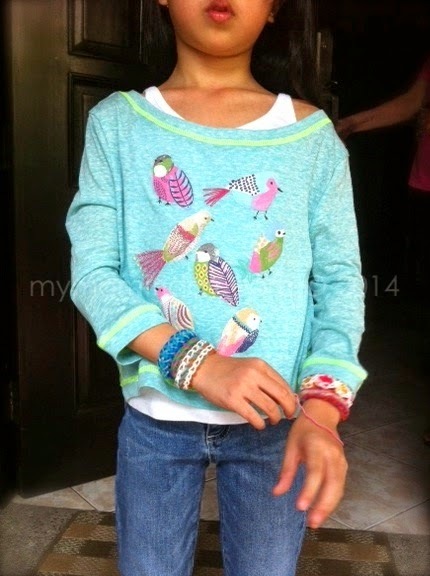 She wanted metallic gold for her Hibiscus bracelet, and even used it as a ponytail the other day. We're not fond of charms or making characters, but this was the only request she begged for - a guinea pig/hamster! 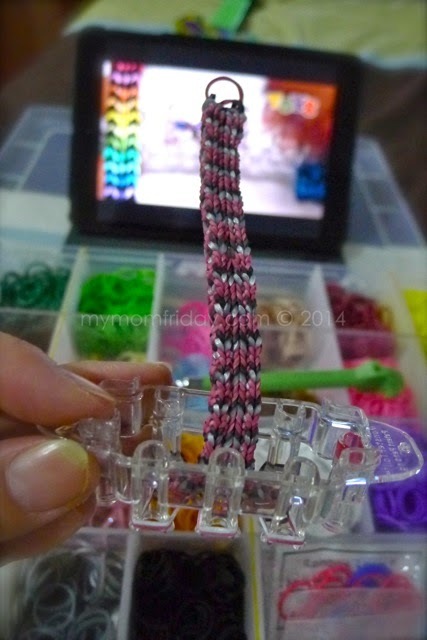 Looming is actually very therapeutic for me, even if it's a back-breaking activity! The girl also asks for my help when some steps become challenging. 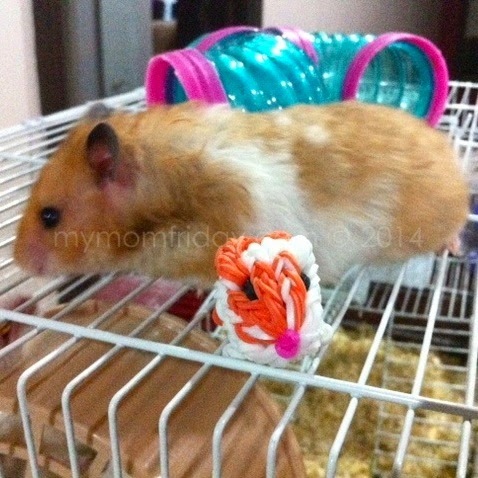 She's making this new spiral design. 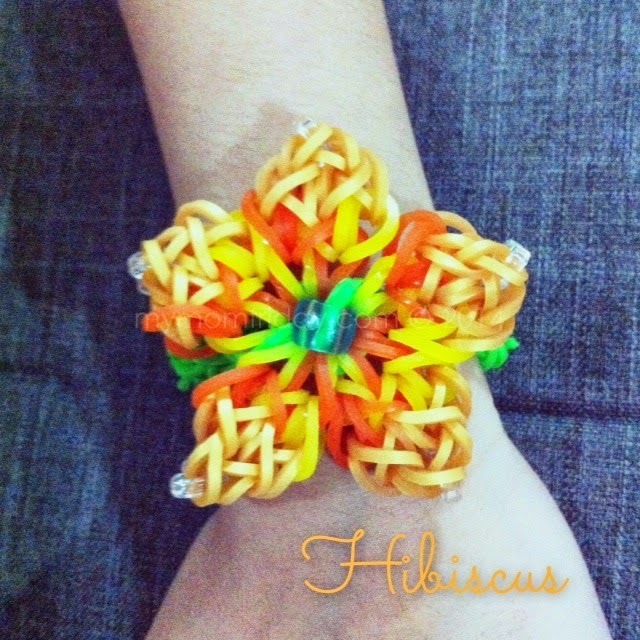 Our favorite tutorials are from Justin's Toys and Rainbow Loom on YouTube. 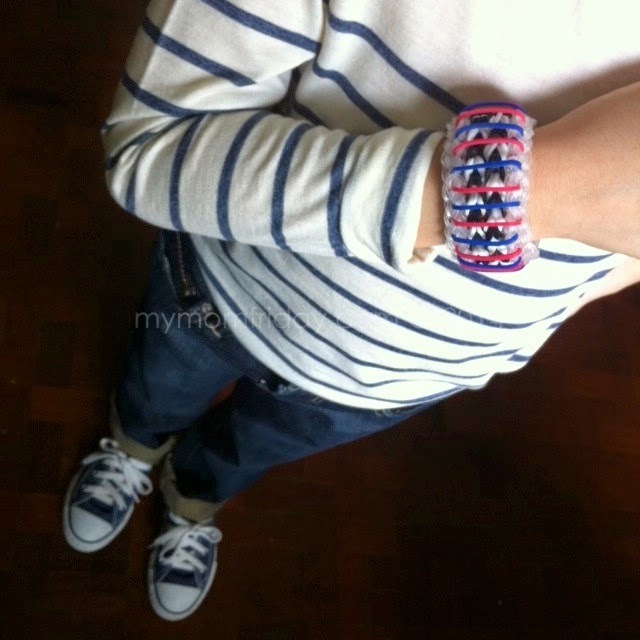 My top favorite design by far, thanks to my friend who showed me hers, is this tight, solid, and flat bracelet. It's perfect for adults, and guys will love this too. I knew I have to make one! Here's the Flexafish - can be made using the standard or Monster Tail kit. I used the Monster Tail for the first time with this design. That's it for now...I'm going back to making a new Flexafish as requested by the boy. 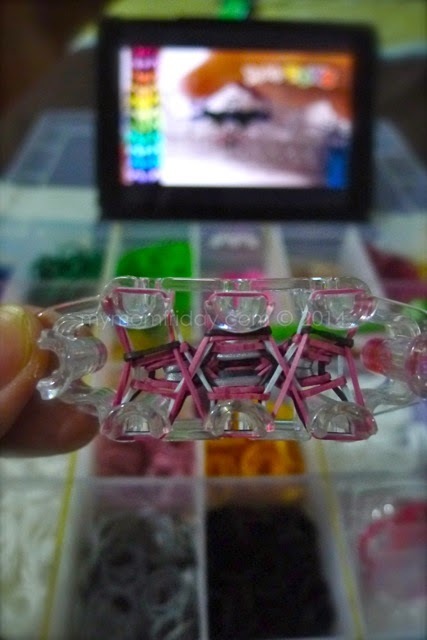 Have you been bitten by the Rainbow Loom bug? What's your favorite design/s?